Say you’re Alex Baldwin in the year 2000, and to your utter dismay, George W. Bush has just won a tightly contested presidential election. It’s time to follow through on your alleged threat to leave the United States in advance of the new regime. Our duty here at the Jetsetter Show isn’t to rehash the tired old argument of whether or not the 30 Rock star actually made the threat. We’re not interested enough in what Baldwin does to worry about that, though it does bring to mind a larger issue – exactly how easy is it to leave good, old America anyway? Good quality, will reorder. ? The National Association of Boards of Pharmacy® (NABP®) inspects Internet pharmacies and awards a “VIPPS” seal to those that meet its criteria. The funny part about the idea of renouncing your citizenship is that the State Department makes it a tad difficult to leave the land of the free and home of the brave. See? Funny, huh? Though our country professes to value freedom in a general sense, the specific freedom to vacate the “premises” is severely limited. The State Department itself doesn’t even keep track of how many “renunciants” there are annually, preferring to adopt a head-in-the-sand ostrich strategy of pretending they don’t exist. Thanks to the IRS, however, we can check the Federal Register on a quarterly basis to find that, for example, in 2002 there were 403 official departures from American citizenship. The tricky part to actually renouncing your citizenship is that the State Department, the agency in charge of overseeing expatriation, does not allow a citizen to exist in a “stateless” status. This means you must seek and secure legal citizenship in another country or be granted asylum before an attempt to renounce will even be considered. 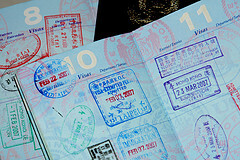 The process of legally establishing yourself in another country can be lengthy, expensive, and complicated. You must prove that you do not intend to live in the United States afterwards. The final kicker on the whole deal is official renunciation cannot take place inside the boundaries of the United States. You’ve got to be at the consul’s office in another country for that. Which are the most likely countries for the potential expatriate? It used to be, back in the 1970s, that either Canada to the north or Mexico to the south were likely targets for Americans seeking an alternate homeland. Not so much these days. Let’s take Canada first, a country popular with Vietnam era draft-dodgers and other conscientious objectors. The high number of 20,000 former Americans living full time there has dwindled to about 5,000. With the Canadian government more concerned with the flow of money than citizens, it takes about twenty-five months to become a permanent resident and a full five years to achieve legal citizenship. The process in Mexico is similar. The bottom line is it takes a high degree of tenacity to follow through with your threat to leave America. Impatient Yankee that you are, it might be best to cross our northern and southern neighbors off your short list of emigration targets, and focus on France. The process of “assimilating” from the U.S. to France is limited to a select few people each year, courtesy of the French government’s requirement that you prove yourself to be more French than American. This means you normally should have mastered the language and life philosophy. Even then, the end result is not a sure thing. Each case is considered individually and decided on its own merits. a family. Same for Uzbekistan, with the latter requiring a renunciation of U.S. citizenship before they’ll even consider an application. That’s right. Even a haven with low living standards, high unemployment, and a revolting human-rights record erects a formidable set of hoops before deciding you would make a suitable citizen. So what’s left for the intrepid American grown tired of citizenship? There are a few off-the-wall options left to try. For example, Native American Indian reservations are considered to be separate nations, though the difficulty becomes in proving your status of having descended from the original tribal base roll. Some enterprising souls have even attempted to find an uninhabited island and declare themselves a sovereign nation. The problem is it’s nigh impossible to find even the smallest rock not already claimed by another country.